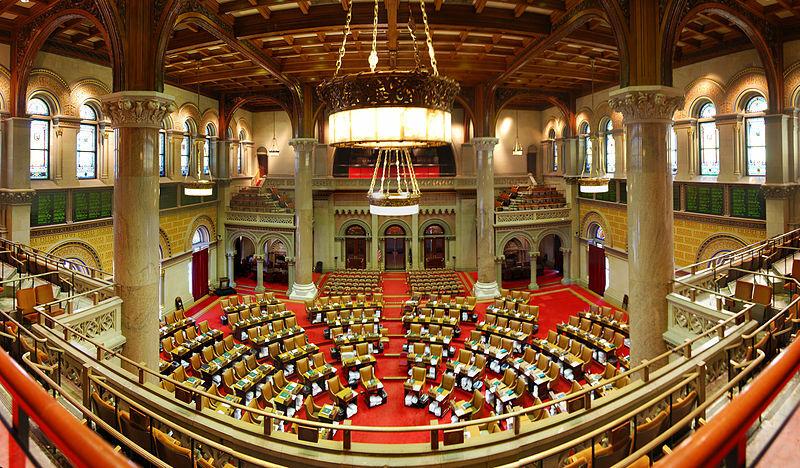 1) On-Bill Recovery: Mandates that investor-owned utilities and the Long Island Power Authority must offer on-bill recovery for energy efficiency projects funded through the $112 million in RGGI proceeds that were allocated for the Green Jobs-Green NY program (enacted in 2009). In addition to providing increased access to these programs, this innovative financing mechanism should allow NYSERDA to substantially leverage the RGGI money with the financial community to scale up the program (through bond issuances), while providing a low interest rate to the consumer. It will essentially create a revolving loan fund for these projects, and is the first statewide statute of its kind in the nation. 2) Power Plant Siting Law (“Article 10”): Re-establishes NY’s power plant siting process, which expired in 2002. It includes a number of robust EJ provisions (the EJ community negotiated and ultimately supported the bill) including significant dollar amounts to be supplied by the project developer to an intervenor fund to ensure adequate representation in Article 10 proceedings, as well as mandating that DEC promulgate criteria for conducting cumulative and disparate impact studies in communities where facilities are proposed. It also directs DEC to within 12 months promulgate a performance standard for CO2 for any new power plants 25 MW or larger. Based on regulations on the books in other states, we anticipate it will consist of a “lbs/MWh” type metric that would reflect a state of the art combined cycle natural gas plant. The Pace Energy and Climate Center will be actively participating in this proceeding at DEC.
3) Solar PV Study: Mandates that by January 31, 2012 NYSERDA complete a benefit-cost study (including job creation and economic development impacts) of installing 2500 MW of PV by 2020, and/or 5000 MW by 2025. These were the targets included in the Solar Jobs Act, which had significant momentum but failed to pass either house this session. There is some initial press coverage on the energy package at the NY Times and pressconnects. For those interested in more detail, check out the sponsor’s memo and the legislation itself (on-bill recovery is the first 19 pages of legislation, followed by provisions for the power plant siting process, and then a study for increasing PV). 1) On-Bill Recovery (summary attached): Mandates that investor-owned utilities and the Long Island Power Authority must offer on-bill recovery for energy efficiency projects funded through the $112 million in RGGI proceeds that were allocated for the Green Jobs-Green NY program (enacted in 2009). In addition to providing increased access to these programs, this innovative financing mechanism should allow NYSERDA to substantially leverage the RGGI money with the financial community to scale up the program (through bond issuances), while providing a low interest rate to the consumer. It will essentially create a revolving loan fund for these projects. 2) Power Plant Siting Law (“Article 10”): Re-establishes NY’s power plant siting process, which expired in 2002. It includes a number of robust EJ provisions (the EJ community negotiated and ultimately supported the bill) including significant dollar amounts to be supplied by the project developer to an intervenor fund to ensure adequate representation in Article 10 proceedings, as well as mandating that DEC promulgate criteria for conducting cumulative and disparate impact studies in communities where facilities are proposed. It also directs DEC to within 12 months promulgate a performance standard for CO2 for any new power plants 25 MW or larger. Based on draft regulations that have been floating around for some time at DEC, these would almost certainly include a “lbs/MWh” type metric that would reflect a state of the art combined cycle natural gas plant—though we will be actively participating in that rulemaking to guard against any monkey business.